I know, I would have said the same thing a couple of days back. With so many advertisements telling us the perils of insufficient nutrition and emphasizing how our current diet is deficient in yet another ‘difficult to roll off the tongue’ nutrition, I had just come to ignore them all, but that’s before my doctor said that I should improve the protein intake in my diet! So, as usual I turned to my trusted source – Google for information! According to recent IMRB survey, 73% of urban Indian population has diet which is deficient in Protein. Lucknow is the highest in deficiency of protein at 90% while Mumbai isn’t too far behind at 70%. 93% of Indians are unaware of their ideal protein requirement. Our body needs approximately 0.75gm to 1gm protein per kg of our body weight. 29% people think that their daily diet is enough for their protein requirements. 30% believe that 1 egg a day provides enough protein. We need protein supplements only if we are planning to build muscles or go to a gym regularly. I was guilty of believing some of these myths and hence it was a rude shock when my bubble burst! 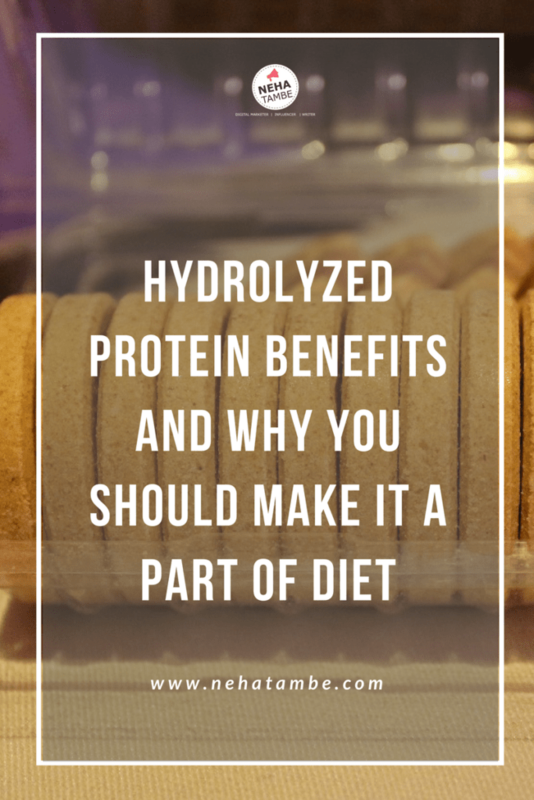 This is when I came across hydrolyzed protein and its benefits. Hydrolyzed protein is nothing but pre-digested protein that is extremely easy for your body to absorb. How do Hydrolyzed proteins help? As hydrolysation helps mimic body’s function on the protein, and breaks down whole proteins, hydrolyzed proteins are easier and faster to absorb. These are great after a workout as they quickly offer the required amino acids for the muscles for repair and rest. It is a wonderful supplement for people recovering from major illness – especially related to intestine or pancreatic diseases. Important for children to have a balanced protein source during their growing up years as that helps their overall development. It is also useful for children and adults suffering from (CMA) cow milk allergy. Protinex, a brand well known for its protein supplements is the only brand offering hydrolyzed proteins in an easy to drink formula. These flavored drinks have been created for different age groups, according to their daily protein requirement. Apart from ages, there are special drinks created for Diabetics and Pregnancy. 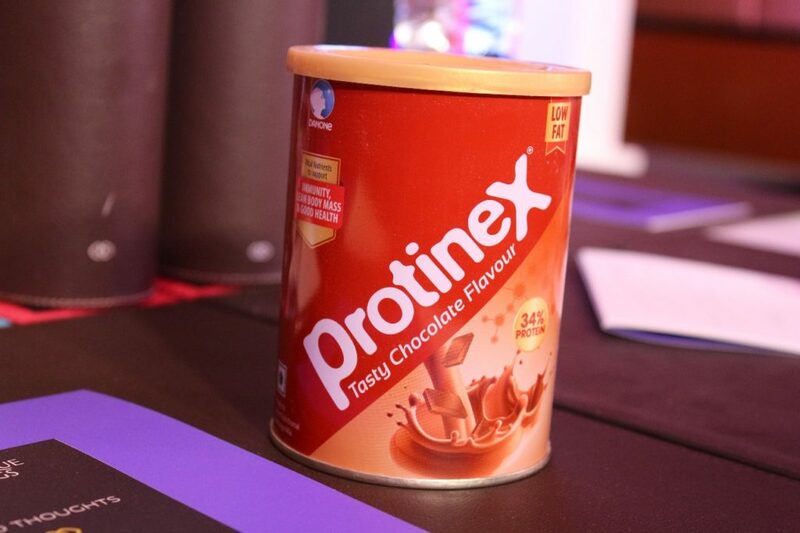 Protinex offerings are supplements in the form of ‘on the go’ bytes or cookies and milk supplements. These are perfect for any kind of lifestyle. I was highly impressed by this, as in the morning rush, my husband never seems to find the time to have a glass of milk with supplements, but eating these cookies on the go, will be an easy task for him! So health without hassle is Protinex for me! 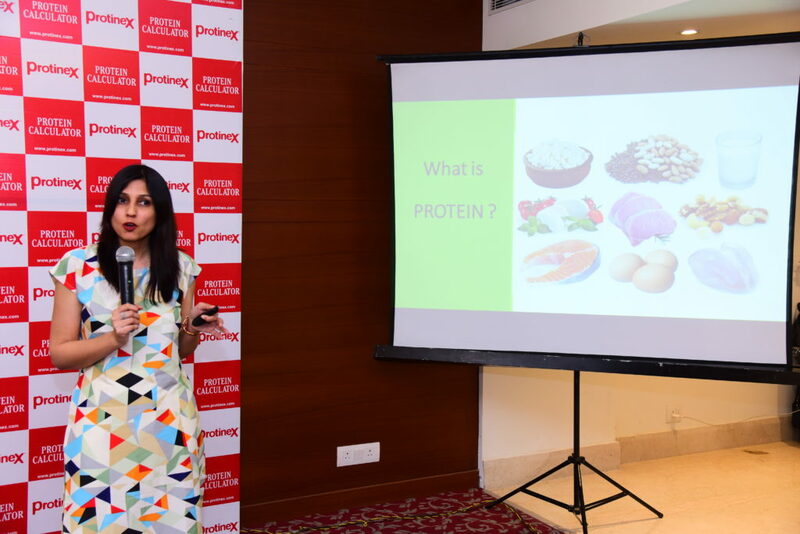 Protinex is on a mission to educate Indian’s about the relevance of protein in their daily diet. To aid this, protinex launched a protein calculator at their recently concluded event in Lucknow. Mr. Himanshu Bakshi, Director – Marketing Danone India said “The idea is to provide a tool that allows the consumers to calculate their protein intake and take remedial actions in their diet through protein supplements” Kavita Devgan, nutritionist, weight management consultant and health writer educated the audience on the importance of right protein intake in one’s daily diet. After my research and the information gathered, I realized that apart from my overall healthy diet, I can include protein rich drinks like Protinex in my daily diet and maintain the daily requirement without hassle. This post is only for information. I am in no way an expert in health and nutrition and these views are based on my experiences and readings. Kindly consult your doctor before considering any supplements in your daily diet. Interesting article. Is hydrolyzed whey different from whey isolate?